Yesterday was the ninth anniversary of the first post in this blog. But I haven’t really talked about this blog’s anniversaries over the years, because it started out so differently. Looking at old posts, I would say that it took about nine months for this blog to develop into the form that most people would recognize now. April 2008 really was the time when this blog fully became what you see before you. So, maybe we should say that it’s exactly nine years since this blog’s conception, but it wasn’t until nine months later that the blog was really born. I thought of talking a little more about the history of this blog and the concurrent development of my own interests related to this blog, but I became unbearably bored. I’ve already typed two “About” pages, and though they are about four and seven years old, respectively, I think that they generally still apply. I thought about talking a little about what will happen here in the future and the (several) posts that I am at least planning to put up – ones that I am presently working on heavily as well as ones that are on the proverbial back burner. But then I started getting bogged down in the preview that I was giving, and I was actually starting to write too much stuff that belonged in the posts, themselves. So, I decided to scrap that idea as well. I have had a lot of fun in the past few days watching music videos and dance clips from the genre known as chutney, Chutney is a fusion of Indian and Caribbean music that was born in the mid-20th century, although it also comes from some long-established roots. It is played and danced to mostly by the people of Indian heritage in Caribbean islands such as Trinidad and Guyana. Wikipedia specifically mentions that the people who created chutney music had ancestors in Bihar and Uttar Pradesh (who were taken by the nice British imperialists to the Caribbean to work on the plantations as indentured servants). For that reason, according to Wikipedia, it is “a mixture of Bhojpuri music, Western music and local music.” Unfortunately, that definition does not take into account the fact that apparently, in recent decades, this community has also been enormously influenced by Hindi film music. I’ve always enjoyed different varieties of Caribbean music, so I find that the fusion of Caribbean music and Indian folk music or Indian film music can be very appealing. There is also a lot of real Indian dancing in these videos, sometimes even classical, though fused with stuff that is definitely Caribbean. For these reasons combined with the fact that I find some of these dancers very nice to look at, I don’t think I ever could ever have a bad time watching chutney performances. Most of the material that I’m posting here is pretty new or contemporary. I’ve picked a couple of known singers, but mostly, I’m just posting stuff that I found on YouTube, some even from small parties and gatherings. It should be apparent, also, that my first priority here is to watch and show dancing. A few of these performance clips include Bollywood film songs, and I am emphasizing those, too, for obvious reasons. In a couple of cases, I have decided to include the original dance scenes for comparison. But mostly, this stuff is a bit…different from what you usually find here. In any case, I hope that at least some people out there enjoy these music-and-dance clips as much as I do! This first song sounds much more Caribbean than Indian to me, but the visuals are very filmi. This video reminds me of some South Indian movies. The main, semi-classical dancer here is great, too (and I would love to find out who she is sometime). This is just some dancer at some very small event. But I saw it, and I thought it was very good. This next one is very good, too. 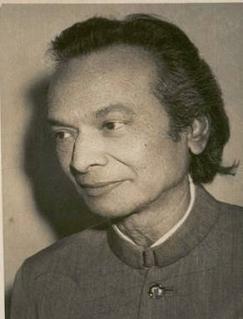 The dancer is labeled as Sonia Hussain. Somebody in YouTube comments said it wasn’t really; it had to be someone else. But no one else agreed. Per further comments, the music here is probably sung by Sally Edwards – a highly regarded Trinidadian singer who died about five years ago – and the Gemini Band. 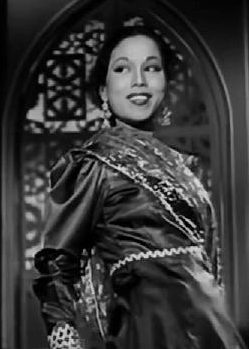 A while before she sang it, the song was sung by Suman Kalyanpur (for music director Gensh) in the Hindi film Kundan (1972), which starred Laxmi Chhaya. Unfortunately, I could not find a clip of that. (There are other songs from around this time with very similar titles that are posted to YouTube, but this one obviously isn’t.) Nonetheless, I am still glad that I can have this version to behold! The next song has embedding disabled, but it’s worth the extra click. This is at some showcase called Chutney Glow, probably for the charity mentioned on the sign in the back. This dancer, Sarena Basdeo, covers a lot of territory. (It even gets a little twerky at the end, which I don’t mind, but maybe not everyone will be into such a wide range of fusion.) 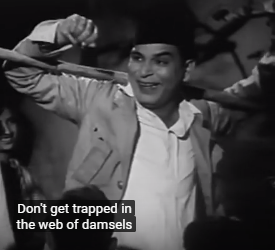 Anyway, the first part is a dance to a classic Indian film song that a few chutney dancers apparently like to dance to; it even was labeled in one video on YouTube as a chutney song. I’ll post the original after this version. And here is the original film sequence, from Jaan Ki Kasam. The music directors listed are pretty much unknowns to me. I won’t give them special mention here (the names are easy to find), but I’ll give special mention to the dancer, since she deserves it but wasn’t listed in the video (only in comments, which I’ll take as correct). She is Manjeet Kullar. Princess Anisa is a pretty good singer (as well as dancer). Here she is covering “Ab Ki Baras” from Morcha (1980). And here is the original. Apparently, it’s also pretty popular with the chutney crowd. That’s Usha Mangeshkar singing to music by Bappi Lahiri. I think the dancer is Jayshree T.
This is a pleasing dance performed in traditional attire at a Guyana festival. The song they’re dancing to is by Ashnie; it’s a hit version of a traditional wedding song. Apparently, quite a few of the chutney artists like to cover this song (Princess Anisa does a good version of this, too). It should be obvious that I have had a lot of fun just picking out performance clips that appealed to me without thinking that much about historic name recognition or the actual history of chutney. But chutney music does have a history with known classics, and it went through interesting phases. In the future, I intend to return to this subject to delve into those matters a little more seriously. This is far from the last time that this blog will be offering chutney.